What is a naturalist, anyway? Several years ago while attending a conference in Charleston South Carolina I heard Rudy Mancke, naturalist, writer, and the creative force behind the acclaimed public televising show, NatureScene, state the above. Of all the definitions of the word “naturalist”, I like Mr. Mancki’s the best. I love this definition for what it does, and what it doesn’t suggests. First, there is the implication that something is required of us. Yes, study! We prepare ourselves to enter into a relationship, one that like all healthy relationships is reciprocal in nature. We aren’t merely drinking in the scenery, we are opening our hearts and preparing our minds to give the necessary time, attention, and care. What may start out as causal affair, blossoms into a full-fledged commitment. We fall in love. We become passionate in our desire to understand more about our beloved. We take time for the intimacy needed to discover the treasures previous hidden in plain sight. We may find ourselves reading odd but exquisite journals on natural history subjects that can range from bryology, to zoology; from comparative anatomy to plant physiology. We may begin to carry about field guides, notebooks, sketch pads, magnifiers, binoculars, plant presses, sweep nets, and various other accouterments of the field. We may research on line, book marking credible and useful sites. But mostly we spend a lot of time tromping about in woodlands, creeks, meadows, marshes, weed lots, or strolling attentively along lake and sea shores. We are awed and delighted by discovery. We see a painted bunting, hear the haunting spiraling song of a veery echoing from the valley, or find a spicebush caterpillar in its ingenious disguise, and our eyes widen in wonder. Or sometimes we stand in the place where history was made, perhaps where civil rights were defended, and the same sense of awe captures our imaginings, and moves us to learn more, sometimes to be more. As our love grows so does our desire to protect that which we love. Make no mistake, this is not a thornless rose. This love affair, like any passion, supplies its share of heart break. The disappointment of the naturalist who realizes that the meadowlarks once a familiar sight and sound have nearly disappear from his or her rural landscape…or watches as a woodland containing yellow lady slipper orchids destroyed for another strip mall exemplifies this heart break. Mankee ‘s definition does not suggest that humans are separate from nature. He invites us to study the world as a part of it. From this perspective, human history, culture, and the rest of nature create the matrix that inspires and informs a more holistic approach to loving and protecting the planet. Yes, Rudy Mancke, I couldn’t agree more. Being a naturalist involves studying the world around us, and being in awe of what we find there. A recent interpretive panel for the Alabama Birding Trails project. Interpreters are often considered to be the “Jack of all Trades” at a facility. From interacting with visitors to planning events to developing exhibits, the hats we wear can be quite large and, sometimes at least, fit a little awkwardly. For some interpreters, standing in front of a crowd and inspiring passion comes naturally, but staring at a computer screen trying to develop an interpretive panel or even a quick handout to that will be available when you aren’t is a disaster. In a perfect world, this would not be an issue. After all, everyone has a large budget and can afford to hire people that do one thing and depend on them to do only that one thing. For the rest of us, we’ll continue to wear our multitude of hats, move heavy objects, tell people about the cultural significance of one thing and identify the beautiful bird perched 50 feet in the air, all while organizing a fundraising event so we can do it all again. Oh, and we’ll be putting together a handout to have at the front desk if we aren’t available. To hopefully make those moments a little easier, here are a few tips/suggestions to help you through the process–some are interpretation-oriented, but many are tips based on experience with working with print material. Remember the 3-30-3 rule. This is almost always a good rule to follow. a. Make sure you have something that catches the eye (3 seconds). This may be the only thing someone learns. b. Provide some useful and visually appealing content that provides educational opportunities (30 seconds). This is about the amount of time many people will spend on something before they move on to something else. Pull-out quotes, boxes with short declarative statements and simple graphics work wonders here. c. Provide content for someone who wants to dig deeper (3 minutes). You can really tell your story here; this is the content for the person who really wants to learn more. Provide some well-written content, informative graphics and really focus on the story. But remember to make it accessible and easy to read. Use active voice when writing. You’d never start off an active interpretive moment with a passive voice, now would you? The same rule applies to the written word. “Jack rode to town on a donkey,” is much more exciting and visually appealing than “A donkey was ridden into town by Jack.” Active voice also typically means shorter sentences, too. Use quality graphics. Get permission to use quality products. You shouldn’t be snagging content from the web for many, many reasons. Copyright infringement is certainly the biggest reason, but you also want a graphic that will print well. If you can see the pixels, you should not be using the graphic. In other words, stay away from most .gif files. They may look great on the web, but they won’t look good on paper. There’s an old rule in printing: any graphic you have should print at 300dpi at the size it is printed. Basically, 300 dpi means 300 dots per inch. If you have a 5 inch x 7 inch photo that is 300 dpi, you can, based on this rule, safely print at 5 inches by 7 inches. Truth be told, you can often get by with half that resolution–if printing digitally. Ask your printer friend…. An awful graphic is much worse than no graphic at all. Proof-read. (Okay, I’m breaking a rule here.) Take a moment to read over what you’ve written. Take another moment. Have a co-worker do the same. Maybe have a friend do it. If you are printing a panel that may be up for a few years, have another co-worker and another friend read it, too. Someone just caught a typo in a bird list that I hadn’t seen because I knew what it was supposed to say. Yellow-rumped Warber is NOT a bird. a Yellow-rumped Warbler is. Choose a font or two and stick with it. Try a serif font (like Times New Roman) for longer copy and a sans-serif font (like Helvetica) for headlines and bigger quotes. The serif on the font (the little ends that make the letter start to point to the next) makes reading paragraphs easier. Sans serif fonts offer clean lines and are often easier to read at large size. Avoid using script fonts unless you have a really good reason. And resist, please, please resist, the urge to use Comic Sans or Papyrus. About Joe: Joe Watts is a passionate proponent of nature tourism in Alabama. He regularly works with the University of Alabama Center for Economic Development on trails and tourism-related projects. He became a Certified Interpretive Guide in 2013. He loves seeing the daffodils in bloom even though his allergies don’t agree. Before finding his path along the interpretive world, he was a writer and editor for Southern Progress Corporation, home to magazines such as Southern Living and Cooking Light. So…all my years of schooling. The classes. The conferences and special trainings. The Continuing Education courses, the planning, the research, and it all comes down to this: I wonder if my coat will fit over my wings? It was February 13th and time for the annual Fairy House Festival at Latta Plantation Nature Preserve. For those of you who are unfamiliar with this event, it is hosted every year by the Latta Plantation Nature Center, part of Mecklenburg County Park & Recreation, and it is one of our most popular events. It wasn’t in the job description I had seen when applying for the job, but assisting with special events like the FHF falls under the “unwritten duties” part of being an Environmental Educator for Mecklenburg County. Dressing up for the event, on the other hand, is just plain fun. And so I found myself standing once more upon the shore of Mountain Island Lake, dressed in my fairy finest, glitter bombing five year olds. It may seem silly and childish to dress up like a fairy, but let me the first to assure you that it is a great teaching tool. All too often, interpreters are too afraid to be a little silly with their programming. We’re so focused on getting our message across to the participants that we tend to forget about making the message fun. And as we all know, a fun message is a memorable message. You may be asking yourself “Okay, but what do glitter and fairy wings have to do with environmental education?? ?” To which I reply: everything. My department uses events like the FHF to introduce the public to habitat preservation, the basics of recycling, and native wildlife. Our overall goal for the event is to get people out to the preserve and expose them to nature. Now, a five year old child might not remember Miss Christine, Environmental Educator, telling her all about taking care of the woods. However, this same five year old will definitely remember a giant fairy asking her to help take care of the woods. When the message is delivered in a fun and exciting way, the message is made memorable! Making the message memorable can require a little extra creativity on our part as interpreters. Standing up in front of group and lecturing them for an hour or more isn’t fun, it’s boring. And a boring message is easily forgotten. Ramp up the fun and excitement by engaging all of your audience’s senses. If you’re discussing trees, take them outside and let them touch smell, see, listen to, and (in some cases) taste the trees! If you’re talking about habitats, have them build their own shelters in the woods! If you just want to expose people to the outdoors, have a fairy house building contest! Five year olds won’t remember all the facts and figures from a program like the FHF, but they will remember visiting the woods and enjoying themselves, which is what we wanted in the first place. So when planning a program, remember to loosen up and have a little fun! More than 25 years ago, I started my job in interpretation as a part-time park naturalist. This wasn’t just a job, it was a way of life. There were many topics, subjects and skills that I knew about and practiced not just for my job, but for my weekend adventures. One of those very important skills was map reading and orienteering. In today’s day and age, who needs a map with Siri telling us exactly where to go, or Google maps giving us a turn by turn directions to our next destination? GPS is in the phones we carry, the Fitbit we wear and the camping gear we choose to carry when we are out on extended hikes. We are on technical overload! What happens then when the batteries die and need recharged and there is nowhere in a 2 mile walking distance to plug-in? What happens when gear gets wet and totally shuts down? Then what? There is nothing as sweet as looking at a map, orienting the compass and finding our way to the next campsite, trailhead or nearest road. Reading the curvy lines on a topo map also help us find the easiest route, this may not always be the most direct, but it can be the least strenuous. The skill of reading a map, especially a topo map is key to truly enjoying an outdoor adventure. Reading a map in general, a road atlas, zoo map or museum map is key to planning your day and making the best use of your time at destinations…. Who wants to go to Disney without map skills, only to find out that the show that starts in 10 minutes is all the way across the complex and you will never make it on time. Rather by reading the map and schedules, one can plan to be on the correct side of the Magic Kingdom just a few steps away from the show you want to see without the rush and stress of trying to get there. When my nephew was just 4, I took him on his second camping trip (ok, his first camping trip out of the backyard) to a nearby campground. I highlighted the route on the map and I had him follow our progress by tracing his finger along the map and orienting in with each turn we took. He was able to keep up with the journey as we went along and it taught him some very important skills. He learned what the rest areas looked like along the way, and how close we were getting. By the time he was 7, David was picking out parks for us to go hiking in. We would look at the trail maps together and see how long the hikes were and what interesting features were out there for us to see. We went many places and he visited Alabama for a few days one summer. You better believe when it was time to drive him back home to Ohio we looked over the map and picked the best route. I asked him to read signs and keep me on track. It was a good way to pass some of the time on the long drive north. I say long, because by then David was around 14 years old and he picked a few destination spots to stop at along the way including Ruby Falls. It turned out to be a great trip even with the extra stops. This year we gave my other nephew a compass for his eighth birthday. We told him if he started using his compass with his maps we would take him on a camping adventure. We will be setting up small compass activities for him to help him hone his skills. We will also teach him to read those curvy lines on the map while helping him pick the best route to hike. David has entered the adult world, and drives his own car, but he is never without a map. Jake is just learning and thinks it is a cool “game”. I hope he too will learn to master the skill of map and compass reading. 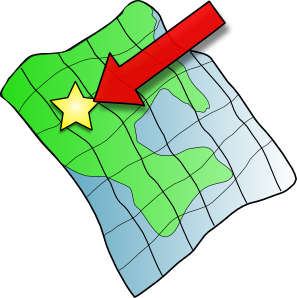 As part of a search and rescue team, each member must have his map and compass skills mastered before they can participate in searching for those that are lost. It is a vital skill, one that prevents searchers from becoming part of the problem. It is fun, and it doesn’t take tons of money or time to learn how to use these tools. Learn what a bearing is, mark your parking spot on a map before you head out on the trail, take a back bearing, and learn your pace. Start small and set your compass on the map to find the elephants at the zoo and then plan your best route. Then try larger areas and parks by walking a course while heading to a distant hill or odd tree. Setting your course can make for a hassle-free day and create many memories too. This generation needs to know these skills before they become lost to cyber-space altogether. With all areas in our life, we should have a destination and plan accordingly. Happy trails and safe travels! When I heard this sentence at our regional workshop a couple of weeks ago at Stone Mountain Georgia, it was met with laughter. How true of a statement! We are not paid massive amounts of money to interpret our sites. There is little hope for young people to become millionaires as interpreters. Yet we are all eager to show up to work every day. Ready to tackle the next challenge. Sometimes that next difficulty requires personal monetary investment to complete. For years I have personally committed money to help pay for programs or travel at various places I have worked. Everything from construction paper and colored pencils to help educate kindergartners about sea turtles to a reproduction War of 1812 leather shako worn by an US Regular in order to stand in line at the 200th anniversary of Battle of New Orleans. I do so willingly. Why? Because I have a passion for what we do. Which brings us to a hidden aspect the statement “Interpretation is an expensive hobby”, personal capital. When said at our regional, I know that person was talking about money. However, as I drove home to ‘Bama, it came to me that more can be extruded from the sentence. It reminded me of all the time spent away from friends and family. How it brought me to Alabama, 14 hours away from the closest relative, in order to learn about how to interpret and now bringing the good word to others in the area. The cold nights, wet days, blood, sweat and tears shed in order to bring history to life or talk about sharks which once swam where I stand here in the Black Belt. In past few years of my career, more time has been garnered towards interpreting to audiences with intellectual disorders. Requiring even more personal capital in order to learn about the various disorders, then learn best practices in order to help educate them. All of this requires a great deal of personal capital in order to be successful. We invest in the programs or “the cause” in such a way that its success is tied to our own personal well-being. When something goes wrong, it can be devastating, but when it goes right or an individual came up to you and said “I don’t like history, but I actually liked you teaching me about it.” the feeling bolsters our personal capital account to the brim, allowing us to reinvest again. Interpretation is an expensive hobby. It requires “the right stuff” in a person to invest their personal capital so completely in a job. It requires a lot of giving on our part, time and money for example, but what we can gain from investing ourselves into interpretation more than makes up for the sacrifices we made to get there.